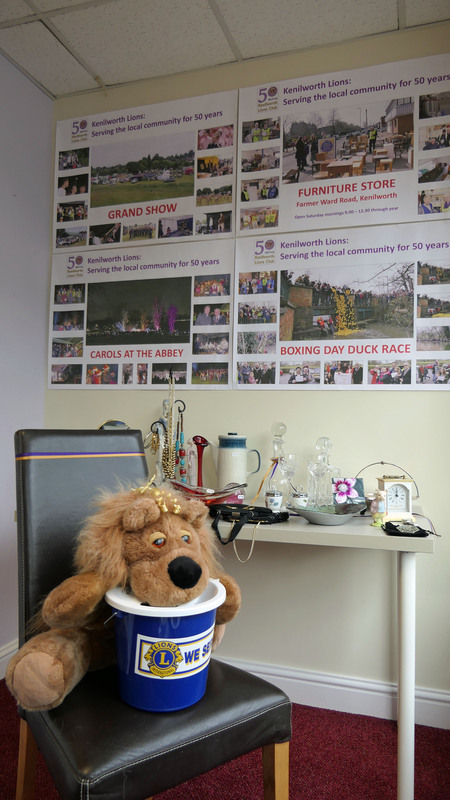 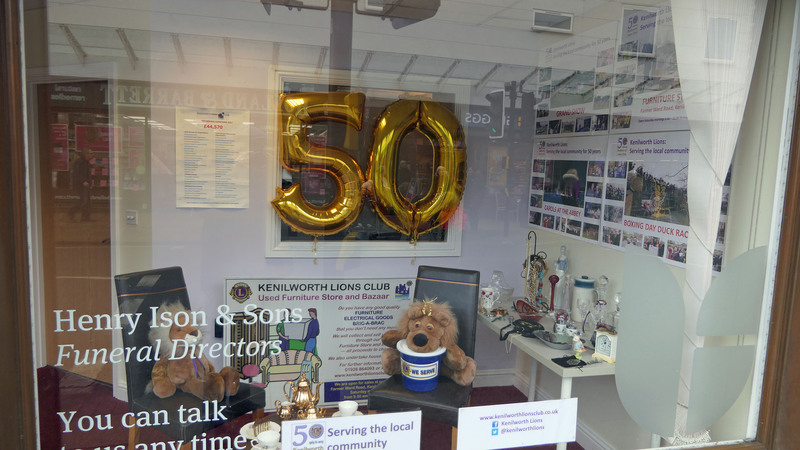 Throughout 2019, Kenilworth Lions Club is celebrating the 50th anniversary of its founding in 1969. 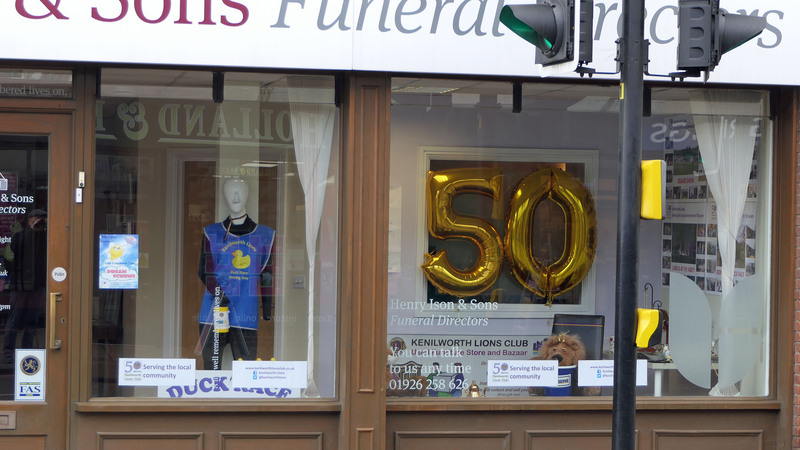 Thanks to the generosity of Henry Isons & Sons, Funeral Directors, we have set up a shop window display at their premises in Warwick Road, Kenilworth, highlighting many different aspects of how the Club has been serving the local community over the past 50 years. 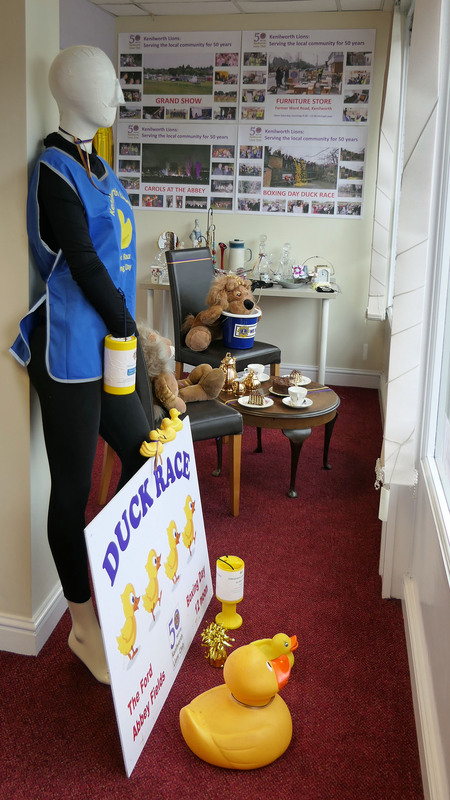 The display includes items from our Furniture Store and Bazaar in Farmer Ward Road, together with posters and other display material illustrating some of our main activities and events every year – the Grand Show in June, the Carol Concert before Christmas, and the Boxing Day Duck Race.